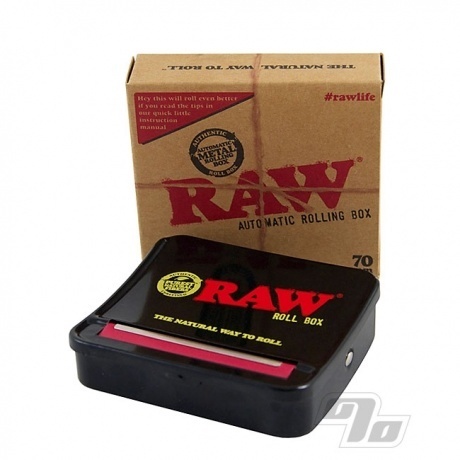 The new RAW Automatic Rolling Box is the new way to stylishly crank out your single wide smokes (70mm is the length of single wide rolling papers). Non-stretch apron rolls up with optional 5mm filters (Swan) right up to 8mm filters (standard sized). 1 Percent sells only genuine RAW; since the very beginning in 2005. Still tryna fully work it but kinda almost got it.. Going to practice more! !